يوفر فندق Centrepoint Resort ظروف إقامة راقية وهو خيار رائج للسياح ولرجال الأعمال أيضاً. يقع في منطقة شواطئ, الحياة الليلية, تسوق من جولد كوست. إن موقع الفندق الاستراتيجي، الذي يبعد 0 km فقط عن مركز المدينة، يسمح للنزلاء بالوصول سريعاً وبسهولة إلى العديد من الوجهات المحلية المثيرة. سوف يعشق النزلاء موقع هذا الفندق، فهو قريب من أهم المعالم السياحية في المدينة كمثل متحف الشمع, Infinity, Hot Air Balloon . كما يقدم Centrepoint Resort الكثير من الخدمات لإغناء رحلتك في جولد كوست. يمكن الاستمتاع بمجموعة من الخدمات على أعلى المستويات في الفندق كمثل واي فاي مجاني في جميع الغرف, خدمة حجز التذاكر, مطبخ, مرافق مخصصة لذوي الاحتياجات الخاصة, تسجيل وصول/خروج سريع. بالإضافة لهذا,تتضمن كل غرف الضيوف مجموعة واسعة من وسائل الراحة . بعض الغرف توفر حتى تلفزيون بشاشة مسطحة, اتصال لاسلكي بالإنترنت, مكيف هواء, خدمة الإيقاظ, شرفة/ تراس لإرضاء أكثر الضيوف تطلباً. سواء كنت من محبي الرياضة أو كنت تتطلع لتفريغ عناء نهار صعب، ستجد خدمات ذات مستوى عالي بانتظارك كمثل حوض استحمام ساخن, ساونا, حمام سباحة خارجي, حمام سباحة داخلي, سبا. يحظى فندق Centrepoint Resort بموقع ممتاز وخدمات يصعب منافستها. All door and windows had to be kept shut because of the traffic noise. Floors were really dirty,. Walking around inside resulted in our feet being black. The manager was kind enough to mop the rooms, but this only helped a little. For the amount of money we paid it was not worth it. The flat is really big, which is good. 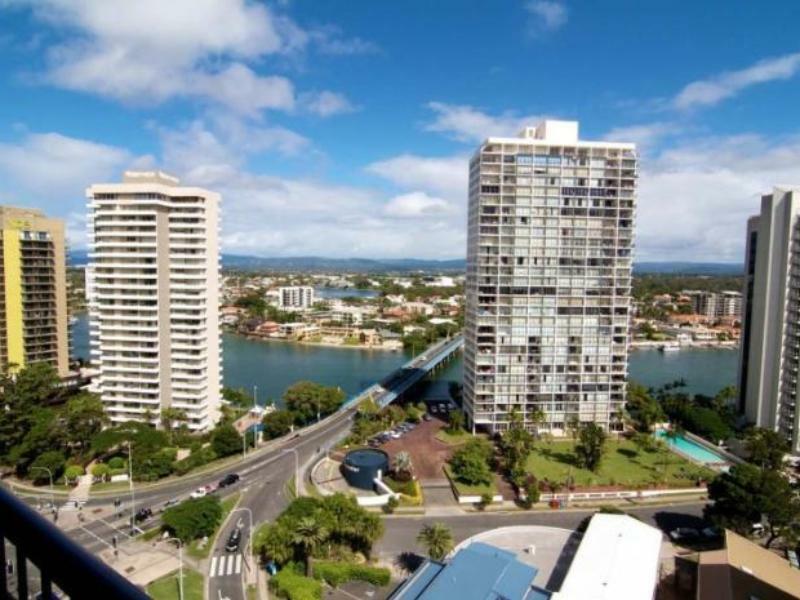 I am very disappointed in our experience with Agoda at the Gold Coast, QLD. We arrived to reception and received our keys, we were unable to enter our room with our belongings as out of 3 elevators in the whole hotel none of them were working. Our room was on the 16th floor we asked for help from the staff with our luggage but the staff refused to assist us in taking it up 16 floors. The only thing we were offered for this massive inconvenience were lockers located near reception to leave our things. After being there for over an hour the elevators began to work, we quickly rushed too our lockers grabbed our belongings and made our way to the elevators. But by that time they had stopped working again.. I was annoyed and wanted to just go home after this point, I called Agoda's Booking number, no one answered I was only able to leave a voice mail with all my details to call me back as soon as possible. The elevators didn't start working until after 5:30PM, after we had already been there for 3.5 hours waiting to be able to get into our room with all our belongings and relax. This was supposed to be a relaxing getaway for myself and my husband and still to this day we have received no contact from Agoda. Would not recommend!!! Our stay was goof. The room had a very strong bleach smell which meant it was clean. The lifts are very old and some of the items in the rooms could do with an update. But we would definitely stay again. It gave us everything we needed. The 1 given for food and dining above is due to the fact that it's not relevant as there is none. The stay was great despite difficulty due to late check-in time. The only problems are with the air conditioning in the unit and for the free Wifi, I only gained access on the 3rd day of stay and need to login everytime when browsing the internet. The location is great, in room facilities are great esp with fully equipped kitchen and the hotel is highly secured. Great location but even on 16th floor the cheap style sliding windows stopped none of the street noise and the old style built in Air Con system could only be used if you didn,t plan to sleep at the same time.....incredibly noisy....almost like having a VW engine running in the roof above your head. 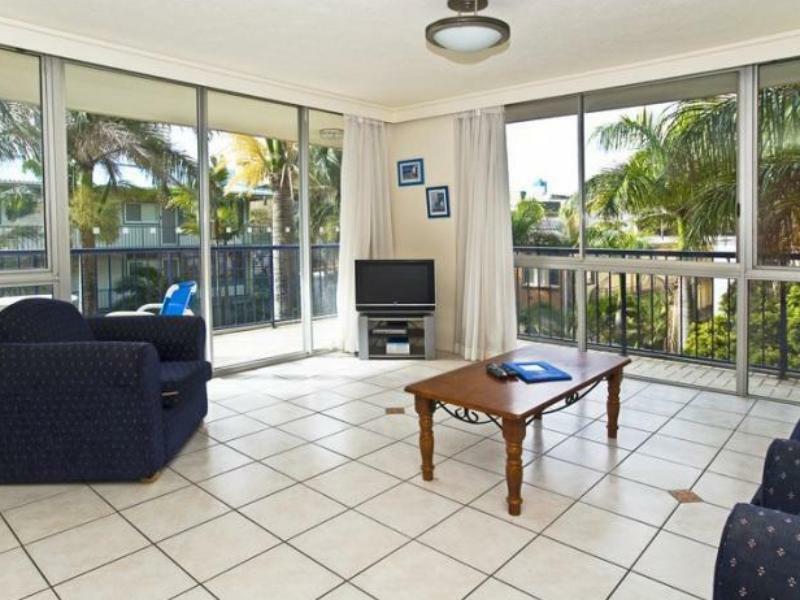 Had a good stay in surfers, the resort is very close to everything and the apartment was quite big with good furniture. Could have been cleaned better before we arrived, feet were dirty from the floors and the beds are very hard but other than that the apartment is great especially for the price. 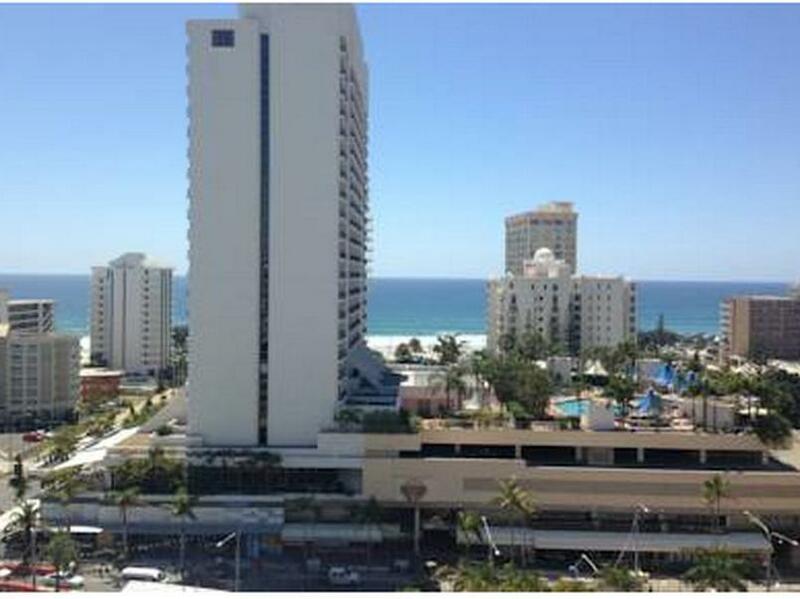 Being on a main road through surfers it is a bit noisy but all in all For the price I would stay there again. location, cleanliness, size of rooms. Nice stay for the week-end. older style hotel, good central location. Nice size rooms. Clean Would stay again. Many restaurant and shops around the apartment. A drug shop and a convenience store open. Although the reception was closed at five, I still could do check in by using intercom at mid night. The apartment is spacious and clean. Equipped with dish washer, washing machine and dryer, it made our stay comfortable and conveniencent. I would personally recommend this hotel for families and couples who wish to stay for a minimum of a week or so.. The staff is very friendly and you will have the privilege of early check-in as well (if the room is available). 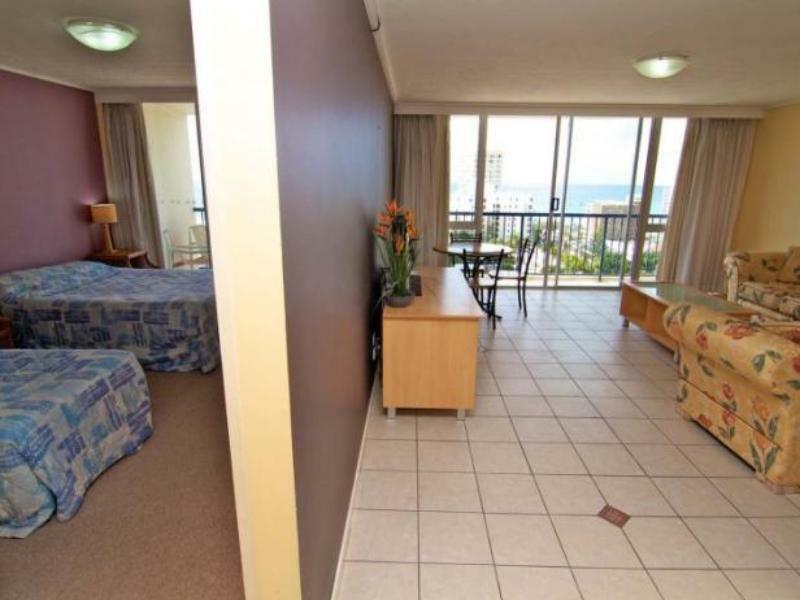 This hotel is very close to all the attractions and beaches and night-life.